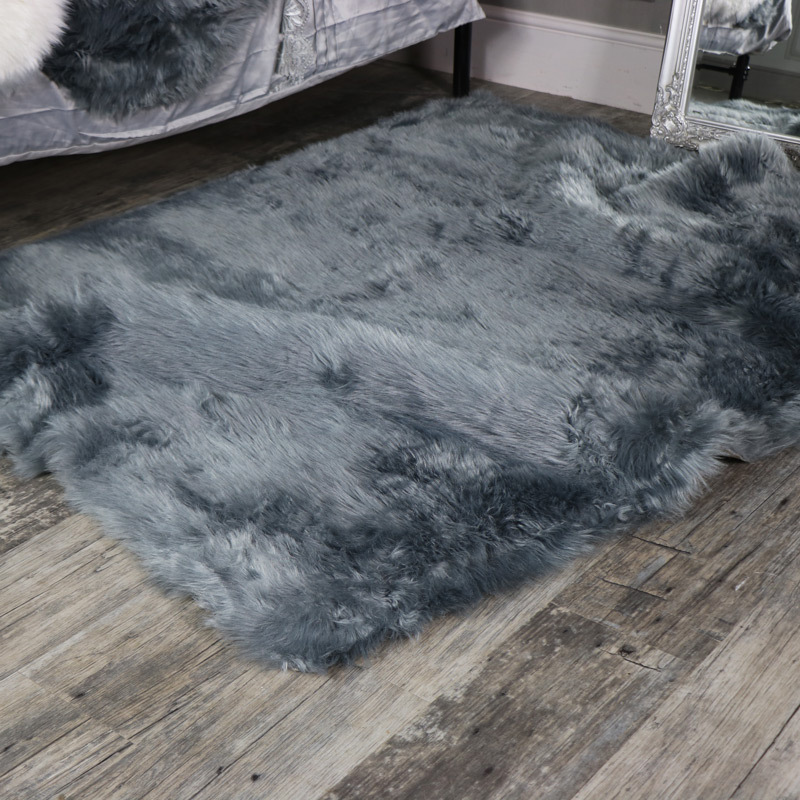 Create a home with warmth, comfort and style with the addition of this gorgeously sumptuous faux fur rug. In a stunning soft grey colour that will look perfect in both modern and Scandi style interiors. Soft and fluffy underfoot, this rug will add all the comfort and homely style that you need. Place in front of a cozy fireplace or a statement sofa. Ensure your home has all the comfort and the stylish look you desire with the help of our beautiful rugs and throws. In various sizes with grey and white colours that easily fits in with any interior. 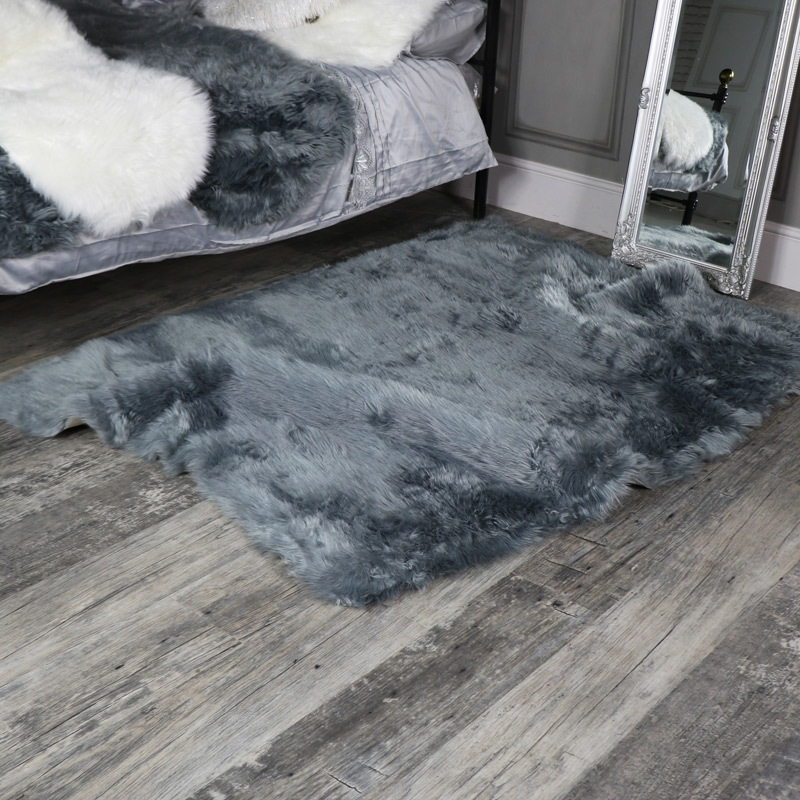 Create a home with warmth, comfort and style with the addition of this gorgeously sumptuous faux fur rug. In a stunning soft grey colour that will look perfect in both modern and Scandi style interiors. Soft and fluffy underfoot, this rug will add all the comfort and homely style that you need. Place in front of a cozy fireplace or a statement sofa. Ensure your home has all the comfort and the stylish look you desire with the help of our beautiful rugs and throws. In various sizes with grey and white colours that easily fits in with any interior. The size of the rug measures 120cm x170cm. The pile is100% acrylic and the base 100% polyester.